Got some work done from Plumber Yorkshire ? Why not write a testimonial/review. Had a leak on stopcock really nice man came short notice fixed quickly and showed me how to fix if happened again reasonable price for emergency call out . The Plumber came Saturday morning as agreed. He did a good job and we’ll use him again. .
Narinda arrived on time he told us excellent workmanship we definitely would recommend him also price is what he quoted now we can have a shower thanks Derek . Excellent service! Responded promptly to my telephone call regarding a blocked sink. Would definitely recommend this Company. . Replaced old triton shower with a new triton shower + fixed eletrical switch very quickly, thanks . Contacted last minute on Friday to fit an outdoor tap, didn't need it doing straight away, they were very reasonable and came out bank holiday Monday. Kept up to date with when they were coming and explained well, showed my mum how to use it and when to turn off the valves to the out door tap, I expected them to just fix a cheap store bought take home outdoor tap even more so when the cost was only £70, however it was not a cheap store bought diy kit it was all done professionally, no issues and impressed, will enquire about carrying out further works in future . Fitted and supplied toilet: quick, efficent and a neat job. Reasonable price and a pleasant person. Would call back for any other plumbing issues, great to know there's a trustworthy plumber at hand! . Quick and efficient service, by a friendly and knowledgable guy who turned up on time and explained problem and solution, and didn't try to sell anything that wasn't required, very rare and honest ethics and workmanship . Very quick emergency service after 5pm and very friendly. .
Fited cooker for me in Halifax. Done it nice and quick. . Excellent, fast and professional service. Highly recommend . Extremely quick service , Ninder arrived within an hour to sort out blocked toilet,very professional . Came out within a hour, fixed leaking tap, friendly, sociable guy. Happy with service. . Came to install cooker to my daughters property did a excellent job and while there he noticed washer was not fitted and offered to plumb that in which my daughter was pleased about really nice guy good work reasonable price will definitely be contacting him again regarding some more work on my other daughters house . .
Great service, he came within the hour, fixed our leek to the hot tap. Lovely manner, very efficient . Very good emergency service at 6 pm. very happy fixed my sink . thanks for plumber. .
Quick, helpful and a a lovely guy . Same day attendance to fix tap, on time and efficent. Would recommend. .
Good efficienct service done by a friendly knowledgeable guy. Would highly recommend him and will definately use his services again. .
Quick and efficient service. Very friendly.Would definitely recommend. .
Had a blocked toilet and shower. Arranged to come round the same day and cleared the blockage quickly and efficiently. Very friendly and helpful. The cost was also the most reasonable. . I can say is really good plumber . Excellent, fast and professional job. For sure recommend!!! . Did a great job ensured everything was to high standard, very polite, would highly recommend!! . Blocked toilet. Came out same day I called.Great service. Would recommend. .
Outside tap installation needed. Quoted work on Friday, following Monday installation complete. Excellent and clean job. I'm calling plumber again for additional work in the coming weeks. .
HAD AN EMERGENCY TODAY AND HAD TO CALL OUT PLUMBER YORKSHIRE. FROM RINGING AND EXPLAINING THE DILEMMA TO THE PLUMBER ARRIVING WAS JUST 20 MINUTES. THE JOB WAS COMPLETED AND FURTHER DAMAGE WAS AVERTED. MY PARTNER WAS PUT AT EASE STRAIGHT AWAY, THE WORK WAS DONE PROFESSIONALY AND EFFICIENTLY. WILL DEFINITELY HAVE THIS PRO AROUND AGAIN. MANY THANKS . Quick response to query. Great service and friendly. Will use again . Easy to contact and used Whatsapp to send photos of the job needing doing. Ninder provided a professional and friendly service, and I will definitely be recommending him to friends and family. . Very fast response and did a really good job, I will def use again in the future . Friendly, helpful service, would recommend and use again. .
Great service and friendly. Will use again and recommend. .
First class service. Called exactly when he said he would. Was polite, friendly and helpful.Would definitely use again. . I wanted my Landlord Gas Safety Certificate so I phoned Ninder. He was brilliant. I called on a Saturday morning and he came round less than 2 hours later. Really pleased and will use him again. . Fantastic service contacted via what's app and offered to come out same day. Would highly recommend. Came out of his way just to help me. .
Great service fitted my new bath taps in no time at all. Didn't have to take time off work as he came to do the work early evening. Very tidy worker. Will definatley recommend. . Fantastic and very efficient service, was able to communicate by what's app, took some photos for understanding - he knew exactly what was wrong- ordered part to be replaced he arrived day later to fit quickly and efficiently meaning we had hot water back within 2 days and without 2 calls out during the working week. Highly recommended . Great service, quoted via WhatsApp, arrived promptly on Saturday, fitted outside tap and replaced stop tap all within an hour. Would recommend and will use again. .
Knows what he is doing . Friendly and reliable came str8 away did a perfect job. . Very fast, very responsive and efficient. .
Fast and efficient service . Excellent service, arrived on time and carried out the work very profesionally, very impressed, would certainly use again for any more plumbing work.Thankyou very much Narinder. .
Super quick quote and response. Plumber used whatsapp images to pinpoint the problem before attending and in doing so cut down the job time. Reasonably priced considering same day call out. Thank you so much! . Excellent same day friendly service. Fixed our leaky shower quickly and efficiently. Will certainly use again. Highly recommended. .
5 STAR PROMPT AND EFFICIENT SERVICE hIGHLY RECOMMENDED! wOULD USE AGING EVERY TIME. FABULOUS SERVICE!!! . Turned up the same day and did a great job removing our cooker and sink for us. .
Fitted new cooker for me ,no mess,no problems, arrived on time would recommend . Good work very thorough. Wood use again. . Came out to quote very quickly, able to work on a Saturday and did a great and tidy job. Thanks . high class service, came out straightaway, pleasure too deal with, will definitley recommend A*********** . Great communication and fast service. Very satisfied. .
Great service, quick installation. Definitely recommend to a friend. . Fantastic same day service, keep this number in your phone as you have just found the elusive genuine, no rip off plumbers. . I would definitely recommend. He went out of his way to do the job right and made sure it was perfect before leaving. He came out the same day to fit our job, tap and connect our washer. He did a superb job and is a really friendly guy. Cheers . Top bloke. Will always go out of his way to ensure the job is done quickly, efficiently and to a high standard. Always turns up when he says he's going to and is fortunately able to come out during the week after 5pm. Will continue to use from now on. .
Great guy. Did a fantastic job. Would reccomend him to anyone. Nothing was too much trouble for narinder. . Contact through WhatsApp was very useful. Kept me informed of progress and problems. Managed to complete job on time and in budget. Will use again. .
Great guy, very helpful. He definitely knows hus stuff. .
Great service, turned up on time, would definitely use again . Friendly and helpfull came within the hour very pleased . Friendly guy, quick response to text enquiry, professional manner, un capped and connected gas cooker. Thankyou . Very quick response and excellent job done for us. Will use again on our insurance works . 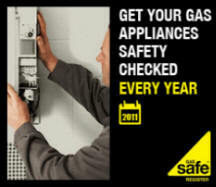 2 landlord gas safety checks & tap fitted - great service - highly recommended. . 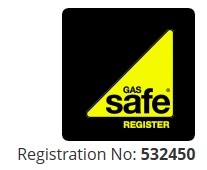 Thanks to Ninder for our gas safety check. Did a great job, punctual, efficient and friendly. Will definitely use again. . Reliable service, quick and efficient. Completed work when promised, many thanks. . Prompt service clean and tidy work to the price quted . Fantastic service.Reasonable price,very efficient and very polite,would recommend to anyone. . Prompt response and good workmanship would recommend them . Came promptly the morning after we rang. He did a thorough job with the new pipework and fixing work requested, keen to demonstrate that the work was completed correctly. He was polite and helpful, we would call him again for future work. . Arrived on time professional finnish. great service would use again .thank you. . Arrived in time and did a professional job....highly recommended . Efficient reliable and honest . Narinder, The plumber, came to my home and fitted two new radiators, no mess or fuss and at price quoted, would recommend this service to anybody who has a problem with their plumbing. . Stuck to the price he quoted, and fitted the boiler I chose. .
Great service came same day and fixed the leak . Fast response, stuck to price discussed on the phone . Easy and efficient to deal with . Very committed to doing work plus takes the customers comments into perspective . Very proffesional service would reccomend to friends . Great job, friendly would reccomend to friends n family. .
exelent service, very friendly and helpfull, cost effective, highly recommended . Great prices and reliable. Came to Install my cooker within a few hours!! Would deffo use again. . Excellent service, highly recommended . Friendly service good workmanship came when he said he would kept me informed every step of the way and good price will use every time . Very profesional and frendly service, he came out within good time and stuck to his time slot. Very please with the work !! . Fast response, came on time. Fantastic job and a great price. Thank you so much for fixing my boiler and giving me hot water :) . Great reliable service. Arrived early, completed job required very quick and thorough. Very clean workman, would definitely recommend and use again in future . Excellent service, came out fitted it and was done in no time, works perfectly . Wonderful reliable service. Arrived on time, well mannered and very knowledgeable. Thorough job completed in quick time. Would definitely recommend. .
excellent service.Plumber came in time cleaned up after him self and did a brill job thanks loads will use again and recommended to all my friends . Good Service.Quick resolution of problem. .
Friendly,hard and working.Got a good and quality job in just under and hour.Excellent service and highly recommended . Ninda was very professional and the quality of the service was excellent. highly reccomended. .
good tradesman very good job . Same day service, efficient, came within 2 hours as agreed and job completed to satisfaction. . Excellent service and great value. Would definitely recommend. . Excellent service and competitive prices. Diagnosed the problem straight away and had it fixed in no time. Highly reccomended for all your plumbing and household needs. Would use again . Despite being a Saturday, an appointment was easily arranged and punctual. Friendly service which didn't come across as patronising despite me having next to no knowledge of plumbing systems. Would recommend. . Fantastic service. Would recommend to all friends and family. Arrived on time. Five star service Thank you . I recommend this company.Very efficient and reliable.rapid response . Very pleased with the rapid response. Thanks! . Excellent and prompt service with a little free advice. No complaints. .
Landlord gas safety check completed efficiently. Good value for money. Would recommend. .
Paul fahy from leeds :it's good to find someone who turns up on time when they say. Does a good job, at a reasonable rate. Highly recomended thanks. . VERY RELIABLE AND EXPERIENCED.WOULD REALLY RECOMMEND THEM. .
Would highly recommend Plumber Yorkshire will always give you advice over the phone and work out the cheapest option possible. Thank you sir! . Would like to thank NSP Plumbing, Ninder did an excellent job moving my radiators to where I wanted them. Excellent Price and clean and tidy. .
We had a burst pipe and Plumber Yorkshire advised us how to stop the water over the phone. He came out within 20 mins, a job well done thanks. .
Was really please how quick the plumber resposned back to just after we completed the online contact form. Very pleased with the serviced you offered. Cheers Pal . came out on Chrismas Day, I had a major leak upstairs, The plumber came on time, was knowledgeable and didn't charge me an arm and a leg. I do not hesitate to recommend them . Plumber Yorkshire is extremely responsive and willing to work within our tightest schedules without reproach. I have used Plumber Yorkshire as my supplier of choice since the beginning of my tenure at Panesar Builders, which as been over fifteen years. . Excellent overall experience. Talked with actual person (not machine), scheduled appt for that day and they actually came out on time. Installed a water heater and then left on their way and have not needed them since. Would not hesitate to call them again. . It's incredibly difficult to find a good quality, reliable plumber but I have. Fantastic firm whom I couldn't recommend more highly . At last - a local plumber who is prompt and efficient - and always on time! Any problem is quickly dealt with and without any fuss. I would not consider using any other firm. .
Would highly recommend this guy, could not do enough for me and even though he did more than was asked he did not want more cash. . Excellent service, kept me informed at every stage and easy to deal with, and the price was very competitive compared to other quotes . The cost of your service is excellent value for money for the level of service provided. . Excellent service. Thank you . Excellent customer service and communication from the start to the end of the job which was done to a great standard. . Please quote Offer Code: "Plumber Yorkshire Website" when calling to qualify for a £5 discount.